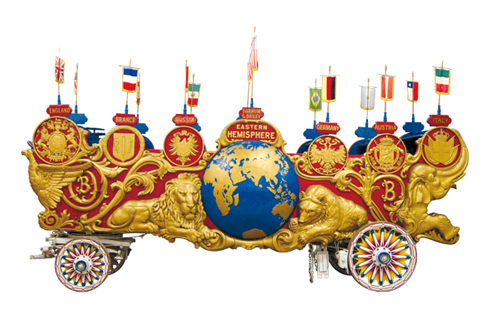 A 25-foot long, 13 000-pound Barnum & Bailey circus wagon titled Two Hemispheres and once requiring a team of 40 horses when it debuted in the grand parade welcoming the “Greatest Show on Earth,” sold for $250 000 at an Americana & Political Auction held May 14 by Heritage Auctions in Dallas, Tex. Also, James Montgomery Flagg's Uncle Sam “I Want You” World War I recruitment poster finished at $12 500; and a swatch of fabric off the Wright Brothers' plane from their first manned flight hit $11 250. Prices include a 25 percent buyer's premium. 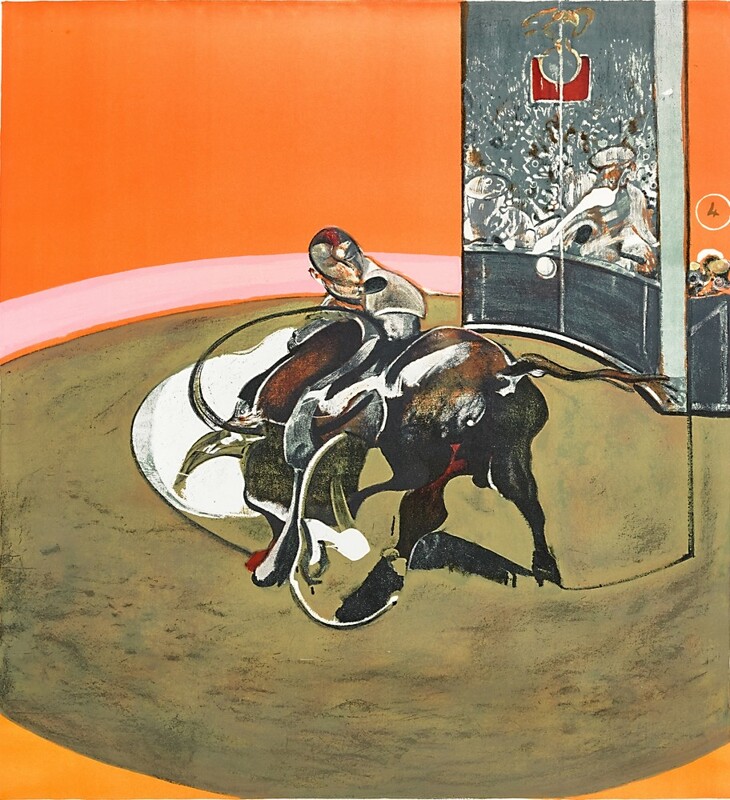 A painting by Francis Bacon titled Study for Bullfight No. 1 sold for $40 625 at a Fine Art Auction held May 7 by Rago Arts & Auction in Lambertville, N.J. Also, Mary Elizabeth Price's The Well Digger from Titusville brought $50 000; Fern Isabel Kuns Coppedge's Spring on the Delaware made $46 875; Andy Warhol's Mao realized $40 000; Michael Goldberg's Still Life with Tiffany Lamp fetched $32 500; an untiled work by Saliba Douaihy fetched $32 500; and Roy Lichtenstein's The Couple hit $30 000. Prices include a 25 percent buyer's premium. A pair of fine, two-inch-tall millefiori enameled porcelain Chinese cups, with iron red Qianlong marks and highly incised decorations, sold for $177 000 at a Fine Art, Furniture & Decorative Arts Auction held May 12-14 by Brunk Auctions in Asheville, N.C. Also, an oil on canvas view of Vermont Hills by the American artist Rockwell Kent, signed and dated (“1923-27”) went for $141 600; an 18th century Chippendale side chair from Boston coasted to $33 040; and an 1805 Simon Willard tall case clock hit $35 400. Prices include an 18 percent buyer's premium. 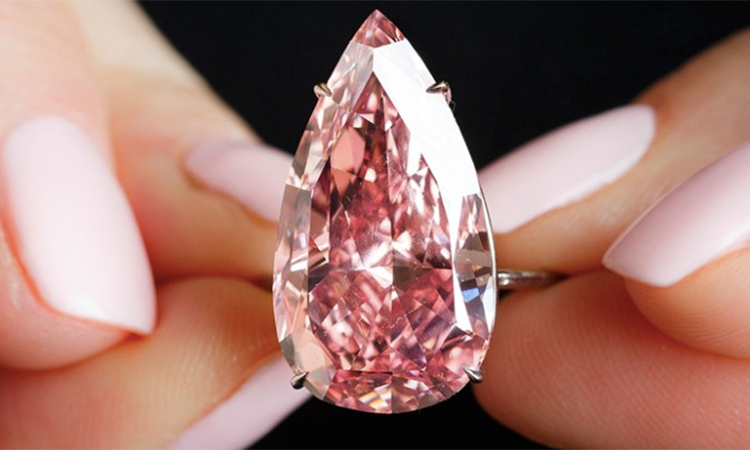 A superb pear-shaped, fancy vivid pink diamond ring, known as “The Unique Pink,” 15.38 carats and graded VVS2 for clarity, sold for $31.56 million at a Magnificent & Noble Jewels Auction held May 17 by Sotheby's in Geneva, Switzerland. Also, a fancy vivid blue diamond ring, 7.32 carats and internally flawless, slipped onto a new finger for $17.11 million; an intense blue diamond brooch by Reza fetched $13.67 million; and a modified pear fancy pink diamond pendant, 18.51 carats, made $9.77 million. Prices include the buyer's premium. A rare 1879 $20 pattern coin known as a 'Quintuple Stella,' struck in gold and the second finest certified example extant, sold for $1.88 million at Regency Auction XVII, held May 19 in New Orleans by Legend Rare Coin Auctions, based in Lincroft, N.J. Also, an 1812 large date one-cent coin, graded PCGS MS64, brought $32 900; a 1909 VDB Lincoln penny coin, Matte PR66, finished at $41 125; a 1937-D three-legged Buffalo nickel, PCGS MS66, rose to $55 812; and an 1834 capped bust half dime made $45 825. Prices include a 17.5 percent buyer's premium.